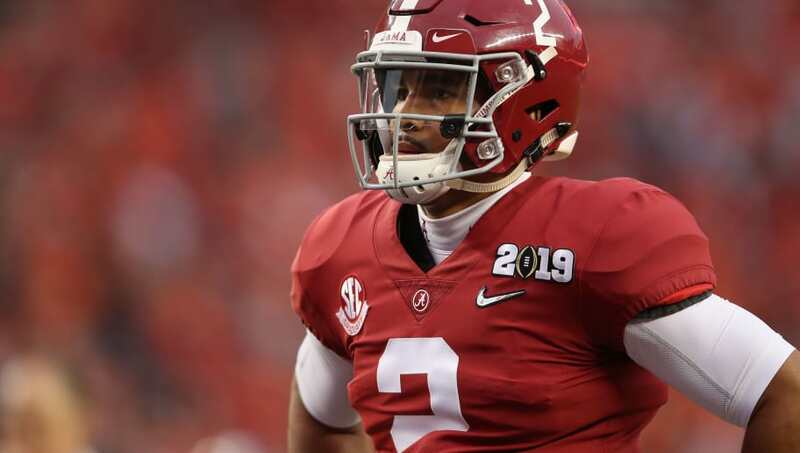 ​Could there be some bad blood between ​Jalen Hurts and Alabama? Likely not, but he can't help but use his exit from Tuscaloosa as motivation. After backing up Tua Tagovailoa in 2018 on the way to another SEC championship, the former ​Alabama quarterback finally picked his next school, opting to join Lincoln Riley and the high-flying offense of ​Oklahoma. ​​Hurts was essentially a free agent, with several big programs like Miami and Maryland, where former Bama co-OC Mike Locksley took the head coaching job, interested in his services. According to reports, Hurts chose Oklahoma because he could get a chance to beat Alabama in the playoff. I’m told one of the things Jalen Hurts wanted the most in a transfer school is the chance to play and beat #Bama in the playoff. #Sooners could give him that chance. If true, this would come as an immense surprise. Hurts always appeared as a humble, team-first player that didn't have an axe to grind against Nick Saban and Alabama. Apparently getting benched in a championship game and seeing your backup almost win the Heisman in your place can cut pretty deep. ​​While Hurts may not have the arm talent to match the stats of Kyler Murray and Baker Mayfield, he should still be an upgrade over Austin Kendall. An Oklahoma-Alabama rematch in 2019 with Hurts under center would be must-see TV.